The featured guest of honour of this year’s festival is Milan Uhde, an important Czech writer, playwright, screenwriter and politician. We have also invited other celebrity figures to take part, including Adéla Elbel, Táňa Malíková and Michal Isteník. 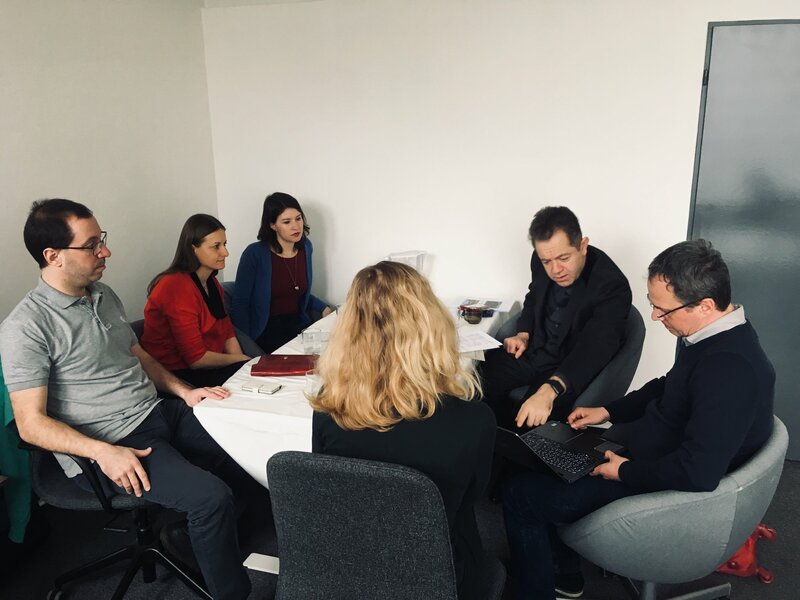 We are preparing with Daniel Löw-Beer a new trail for this year’s festival that will allow you to acquaint yourself with the authentic stories of the Löw-Beer family and learn about the planned memorial to Schindler’s Ark, the holocaust and the Löw-Beer textile factory in Brněnec. 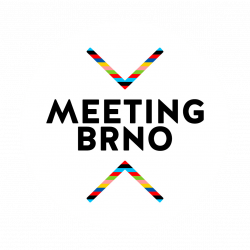 We are pleased to present the visual style for Meeting Brno 2019, created by Martin Hrdina. This year the festival will run from 29 May to 9 June. Its fourth year takes as its topic the value of liberty, which we won thirty years ago. We will commemorate the struggles for freedom before 1989 and consider our responsibilities in a free state. A number of guests from Czechia and from abroad will attend Meeting Brno, and as in every year we have arranged compelling discussions, exhibitions, theatrical, film and music performances, a Pilgrimage of Reconciliation and many other events. 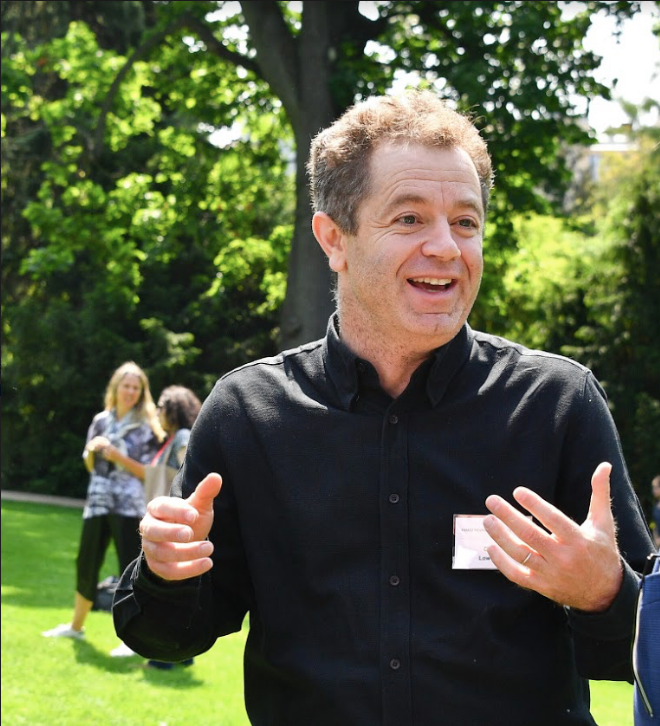 Daniel Löw-Beer presented the Ark project, run by the Löw-Beer & Schindler foundation, at the Löw-Beer villa. The story of the factory in Brněnec, owned until 1938 by the Löw-Beer family when it was stolen by the Nazis, is widely known thanks to Steven Spielberg’s film Schindler’s List. During the war, a concentration camp was constructed on the site, as an annex of the Gross-Rosen camp, and it was here that Oskar Schindler brought more than a thousand Jewish prisoners, saving them from certain death. Thanks to a gathering of the Löw-Beer, Stiassni and Tugendhat families, realised as part of the 2017 Meeting Brno, the descendants of these families returned to Czechia after more than 80 years. It was there that the idea was born of saving the decaying buildings at Brněnec and establishing a museum on the site. 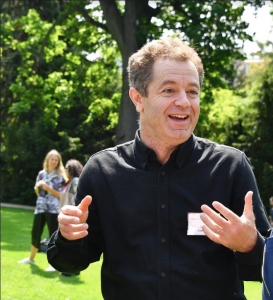 The Ark project, run by the Löw-Beer & Schindler Foundation, aims to open the first part of the site in 2021 and to present the story of Oskar Schindler and his Ark in the main building. 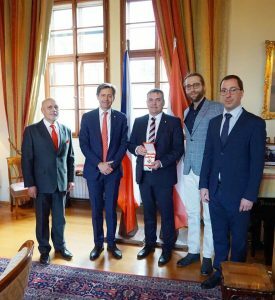 On Wednesday 20 February 2019, Mr Alexander Grubmayr, the Austrian ambassador to Czechia, handed Mr Petr Vokřál, the former mayor of Brno, an award for encouraging the development of Czech-Austrian relations and for supporting historical reconciliation with German-speaking people who were expelled from Brno after World War II. The honour was awarded by President Alexander Van der Bellen of Austria. We participated in the ceremony, together with Petr Kalousek and Jaroslav Ostrčilík. 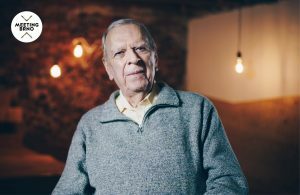 We are especially pleased that our team was there in 2015 when Mr Vokřál began the work for which he was decorated. It was due to his efforts that the festival Meeting Brno was later established. We would like to offer Mr Vokřál our congratulations and thank him for all his support.